A lot of confusion surrounds the VIN numbering of the carious models CitiCar, ComutaCar and PostalVans. Here we are to shed some light on the subject! A ideal situation is to have an original VIN Tag (always mounted on the vehicle's left side, at the top of the instrument console visible from the outside the car looking in towards the instrument console. Many of the cars were not issued with a title, they were intended for private property or warehouse use only. A proper VIN tag can almost always be created, however, by understanding how the VIN tag system worked. There were no structural changes between cars that were issued with VIN tags and those without. Citicar VIN codes - The CitiCar Vehicle Identification Number (VIN) is located on the driver’s side dashboard and is viewable through the windshield. The VIN consists of nine or ten letters and numbers. “aa” is the month of the year of manufacture. 01 = January, 02 = February and so on. Note: Some CitiCar VINS do not have the leading zero on months 01-09, but others do! If the leading zero is not there, then just remember that there should be a leading zero there. “b” is the year of manufacture (not necessarily that same as the year indicated on the title). All Citicars were made in the 1970s so the numeral is the last number of the year. “cccc” is the consecutive serial number of the vehicle. These numbers did NOT start over at the beginning of the month or year. They start at 0001 and run until the end of the company. 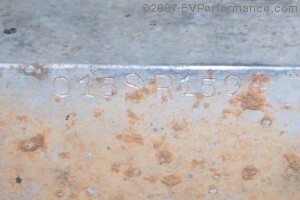 This number is also stamped into the frame on the passenger’s side behind the rear wheel. “d” is used to designate a model change during a change of management. (Okay, somebody screwed up and duplicated the serial numbers and this was a quick way to cover-up the mistake.) Seriously, the letter "A" in this spot usually designates that the car is a "transition car". EXAMPLE: 105SR0899 would be the 899th car built and it started down the assembly line in October of 1975. The title may reflect year of delivery, and could be 1976. 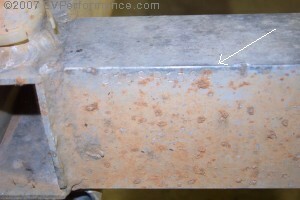 Position 1-3 is the World Manufacturer's Identification. Specifically, position 1 & 2 is the country code. This should always be "1" for North America. However there is a discrepancy in very early 1980 where this position has the number "01" (South America, which is an obvious error). Position 2 & 3 are always filled with "11". This number is the government assigned identifier for Commuter Vehicles, Inc (technically, the WMI for Commuter Vehicles was "111"...all three digits combined). This information was sourced from information obtained from the National Highway Transportation Safety Administration (NHTSA). Position 4-8 are typically reserved for equipment codes for use by specific manufacturers. However, this digits are the same for all ComutaCars: "1B1C2" (at least for the some 60+ ComutaCar VIN numbers we have analyzed). Position 9 is the check digit for the VIN number. 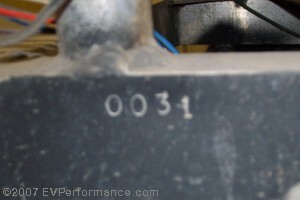 In a standard VIN number, this digit is derived from a mathematical formula using all the other digits of the VIN. However, this is a point of confusion as the standard formula does not work out correctly. This is the second inconsistency in the numbering system. Position 10 is the date code. The following system is used: A=1980, B=1981, C=1982, etc. Theoretically the model year should run from September 1st of the previous year to August 1st of the nominal year, however, this may or may not have applied to ComutaCars. Position 11 is the manufacturing plant. All Commuter Vehicles that we have been able to evaluate have "S" in this location. This number is set by the factory, not by government assignment. Position 12-17 is the serial number. In 1980, Commuter Vehicles no longer stamped the entire VIN number on the frame. Instead, only the serial number was stamped onto the frame. 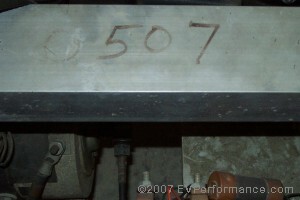 On some vehicles, the serial numbers was also hand-written onto the frame underneath the seat, usually on a support member. Once again, the VIN number may reflect a different date then the title.